At the start of 2015, I pledged to read 200 books during the year. I’m glad to say, I’m almost there with a month to spare. I had signed up for the reading challenge on Goodreads and the Outdo Yourself Reading Challenge by The Book Vixen. When Brianna (The Book Vixen) announced that she was quitting blogging and was looking for someone to take over this challenge, I knew I had to give it a shot. 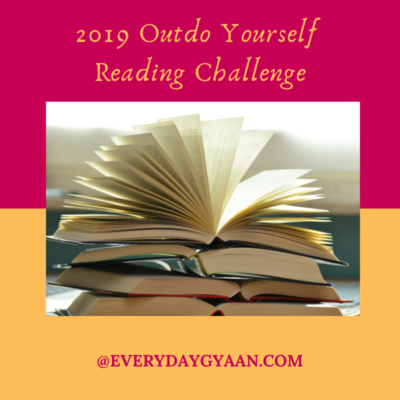 I’m happy to be taking over the Outdo Yourself Reading Challenge from The Book Vixen. Thanks, Brianna. If your goal for 2016 is to read more, then this is the reading challenge for you! Are you up for the challenge? Please include your name & the name of your blog (e.g. Corinne @ CorinneRodrigues.com) with the direct URL link to your blog post or dedicated shelf (on Goodreads/LibraryThing/BookLikes). Any links to a blog’s home page or main profile will be deleted. You can find a whole list of reading challenges here. You might want to sign up for the Contemporary Romance Challenge which was previously hosted by The Book Vixen and can now be found on Love At First Page. I always enjoy a list of books recommended?????? Vinitha that falls in the first category, so you can definitely take up the challenge. Looking forward to a great reading year. Me too, Sherrie! And it’s a pleasure hosting this! Hey , I am so glad I discovered your page and this reading challenge. There was a time when I always had a book in my hand and I read more than 2 a month. I have barely touched one in ages other than those quick reads one can finish off during a flight . I am surely taking this challenge up to rediscover the world of reading via crisp fresh pages of a wholesome page turner! Well, I have to try it. Best wishes Corinne!!! Left the link to my ‘Ushering the New year’ post . One of the key tasks I plan to take next year is 2016 Reading Challenge ! Already have 2 books in hand and a huge reading list to pursue. Yet to figure out the Goodreads widget but we have time on our hands dont we .. an entire year to learn new things. As last year, I have signed up for a lot of challenges, so I’m trying to space my sign-up posts out a little so as not to overwhelm my readers. I’ve got a post scheduled for this challenge for tomorrow and will come back with the link. Excellent of you to take over this challenge for Brianna, Corinne! I am in for this challenge! Looking forward to read lots of books this year! Is there a linky for reviews in this challenge? Love this! Totally adding this to my challenge list! I like the idea of doing this, but I’ve cut my reading target this year – mainly to write more books. I must remember to do it next year, though! Checking in. My three month goal is 48. Excited to be nine books away from goal with nine days left! Hello, I did this reading challenge the last 3 years with the book Vixen. I know i’m a bit late to the party, but your post says we can join before September, but it says the Linksy is closed for this, so I can’t join in. Pingback: Taking Stock of My Book Reading Challenges 2016 - A Rose Is A Rose Is A Rose! Pingback: My Book Reading Challenges for 2016 - A Rose Is A Rose Is A Rose!